It’s hard to watch or read the news without being bombarded with the story of General Petraeus’ affair and resignation. The story has expanded beyond General Petraeus’ conduct to include allegations of inappropriate conduct by an FBI agent involved in the investigation (sending a shirtless picture of himself to Jill Kelley) and General John Allen (exchanging thousands of possibly "inappropriate" emails and other documents with Jill Kelley). 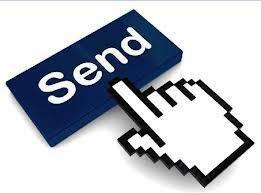 As an employment lawyer, I’m continually amazed at the personal content that employees will send in emails and text messages, even from their company email addresses. Employees still like to think that the emails they send while at work or from their work email address are private, or that the odds are against anyone ever looking through their emails. Let me tell you, as someone who has spent countless hours reviewing emails during an investigation or in the course of litigation, the odds aren’t that good and those emails aren’t private. General Petraeus’ problems should remind employers to check their technology policies. Make sure that policies contain clear and prominent warnings about the fact that email and other technology use is not private and that the company has a right to search and review electronic communications sent from company property. Employers should also spend time training and reminding employees of their policies. It wouldn’t hurt to give some good hypothetical examples. When I do training, I tell employees that if they wouldn’t be comfortable with an email being posted on the company’s bulletin board, being read by a room full of attorneys, or being blown up and shown to a jury, they probably shouldn’t send it. Even if the recipient of the email would be fine with the content, employees need to think twice before they hit send because you never know who might be reading it at a later date. Finally, a brief word of caution to employers. Even if you have a well drafted policy that reserves the right to review emails, it’s best to have a good reason for doing so. Some judges and juries still think that an employee should have some right to privacy. In addition, to avoid claims of retaliation or discrimination, make sure that any practice of monitoring emails is applied uniformly.